Between 2010-2013, UTWSD meetings were hosted by Multi-Cultural Relationship office, and know we are hosting the people of San Diego who are doing a good job to our community, and they don’t have space for meetings. We are returning the favor. 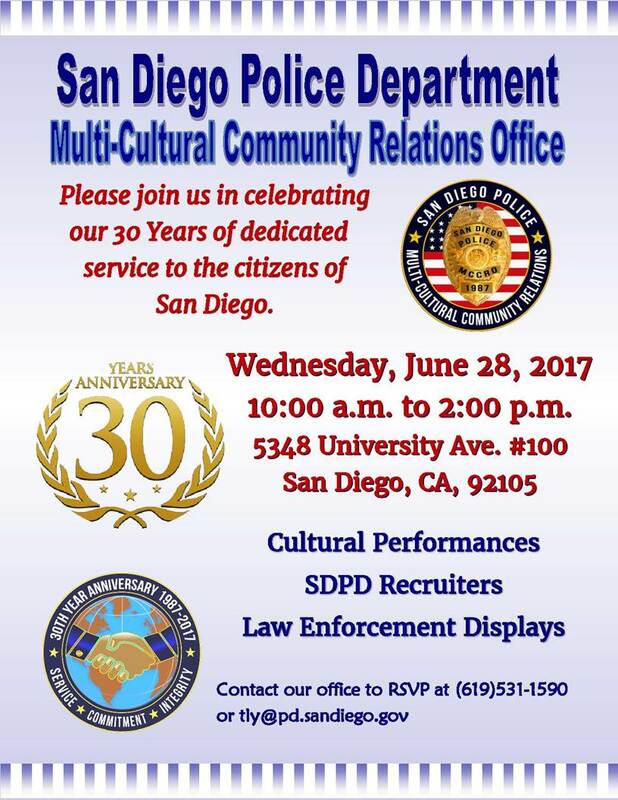 Thank you SDPD Multi-Cultural Community Relation for your service to our UTWSD and our community.